As we settle into 2019, job opportunities in the cannabis industry have never been so exciting. As well as positions that are always in demand, there are all-new opportunities in the legal industrial hemp space. When President Trump signed the Farm Bill, it created a new legal industry that will explode with new products and attractive new employment options. The range of hemp products is vast. Basically, anything except THC is open game, so the market for CBD concentrates, specialized hemp flower, and industrial products will hit an unprecedented high. With Trump signing the Farm Bill, those who work in the cannabis space need to start thinking of the overall industry as having two parts—although these two parts have both existed for some time. First is the federally legal hemp industry, with huge potential for new companies involved with CBD and industrial hemp products. The second is the federally illegal marijuana industry that remains legal only on a state-by-state level. Expectations run high that the United States federal government will soon stop ignoring the existence of this valid industry and take steps to recognize it like our neighboring country to the north, Canada, did when marijuana became legal nationwide there last October. 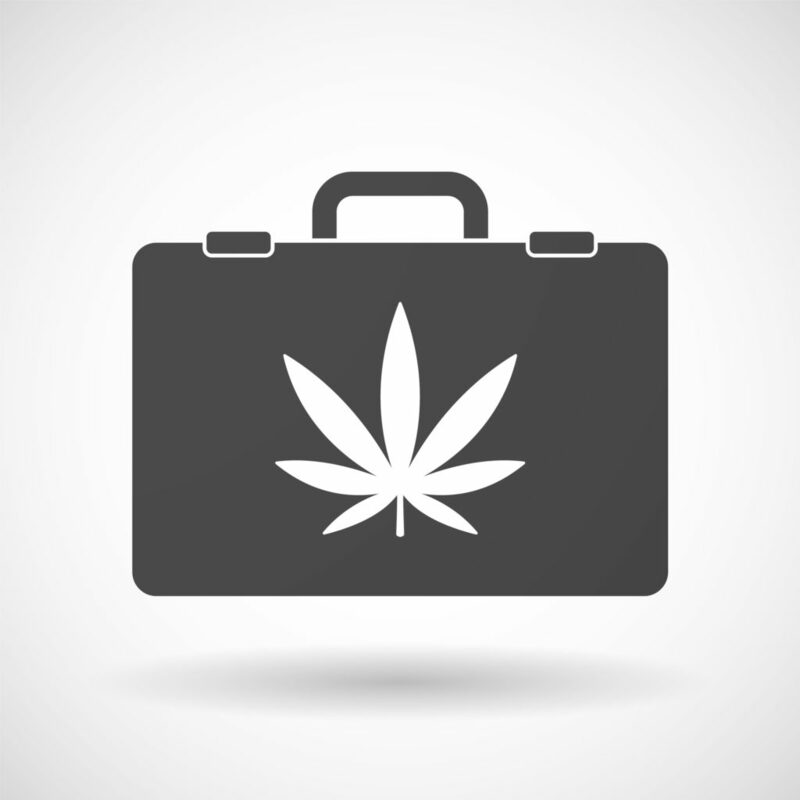 Let’s examine what old and what’s new in the field of cannabis employment opportunities. An increased number of opportunities will exist in the new recreational cannabis state of Michigan and the new medical states of Missouri and Utah—although Utah opportunities will most likely be limited due to the state’s restrictive medical program. Opportunities in hemp will occur countrywide, since the industrial hemp industry is no longer hindered by state-line limitations as is still the case with legal marijuana. There will always be a need for budtenders and cultivation associates in the marijuana industry. These positions are in constant demand, as any cannabis job board will attest. Similar high demand also exists in some concentrates manufacturing positions, but with slightly fewer opportunities than the two big ones just mentioned. Becoming a budtender is a good fit for outgoing people who enjoy social interaction and have a knack for selling. Although every budtender doesn’t have to be an extrovert, it helps. For success, those who are more introverted must put on their “work face” every day and prepare to engage and serve the needs of all customers, answering questions when necessary and making recommendations. A good budtender also remains informed about cannabis products and new product developments in the industry. More importantly, they need to know about the popular products and overall inventory of what is sold in their respective stores. Because most dispensaries are so busy, time can pass quickly. When customer lines are long, budtenders are always on their feet. Entry-level budtenders with a strong work ethic can expect to eventually become a lead budtender, and possibly an assistant manager or manager. The second biggest option for marijuana industry employment is becoming a cultivation associate. If you have a green thumb, this could be a great fit. As with many jobs, though, expect to start at the bottom and work your way up. Although the potential rewards of this job can be huge, if you choose to apply for a cultivation job, realize that the physical demands can be great. Physical labor is part of the job, regardless of whether the cultivation site uses hydroponics or soil. If it’s a hydroponic grow, expect to lug around and clean the growing medium, whether it’s small rocks or some other material. If it’s a soil grow, expect to lug soil. As you gain tenure, those jobs transfer to new employees most of the time. More-interesting work awaits you in areas like cloning, nutrient application, and harvesting. Management roles are also a possibility, and most cultivation managers earned their positions through hard work. If you like to work with cannabis in its most basic form, cultivation may be the right job for you. Huge opportunities will exist this year in the legal hemp industry. For the first time in nearly 100 years, Americans in every state can now grow hemp legally. New product development and spin-off, niche companies will emerge at a high rate. Since both hemp and marijuana fall under the cannabis umbrella, let’s define the terms. Most marijuana is high in THC, with some marijuana strains now testing in the 40-percent range. Many marijuana strains also contain respectable amounts of CBD, particularly strains like Rubicon that are grown for the CBD market. By its legal definition, hemp is cannabis that contains 0.3 or less THC. Just like many cannabis companies are growing marijuana with increasingly high THC levels due to selective breeding, the same is occurring with hemp companies right now. For some of these companies, the higher the CBD, the better, and CBD levels are increasing. One of the interesting new hemp markets that’s already emerging quickly is for the production of potent hemp flower that runs high in CBD and extremely low in THC. These high-CBD hemp flowers appear much like marijuana, with a coating of CBD-rich trichomes and a frosty appearance. With names like Elektra, these hemp flowers are 100-percent legal and now can be shipped nationwide through the U.S. Postal Service with no risk of legal consequences. It makes sense that boutique hemp flower would gain in popularity just like boutique marijuana flower, and that’s exactly what’s happening right now. Top-shelf hemp flower should soon be rubbing shoulders with top-shelf marijuana flower at your local dispensary. Some dispensaries already sell marijuana grown for its high CBD content, but these flowers usually contain more than 0.3 percent THC, making it notably different from hemp flower. There are valid reasons for this increasing popularity and interest in legal hemp flower. Namely, it’s the interest in whole-plant CBD medicine—which is something that’s simply not possible with CBD concentrates. Whole-plant therapy is able to harness the benefits of the entourage effect—a term that’s gaining increased interest and relevance in both the marijuana and hemp markets. Simply stated, the entourage effect refers to the synergy and interactions between various cannabis compounds, most notably cannabinoids and terpenes. Without these compounds interacting—which doesn’t happen when smoking concentrates because many of them were purged from the concentrate during its creation—the entourage effect cannot occur. This is particularly true with the relatively new distillate extracts, which are very pure in THC but have most of the terpenes removed. Both THC and CBD interact with terpenes to result in something that wouldn’t occur with either one of them if consumed alone. This is why the entourage effect is a fascinating new field of study. Although the jobs that remain common in the marijuana industry are still plentiful and available to those who seek them, new opportunities in the hemp industry are going to open the door for even more opportunities in the cannabis space. Look for hemp extracts, pure flower, and industrial products—including building materials, plastics, textiles and other materials—to increase dramatically in production. With hemp now legal, it’s possible that hemp farms may soon eclipse marijuana farms in overall production across the country. Time will tell, exactly what the full potential is for this exciting new legal industry. If you’re looking for a new job or career, look to the cannabis space. The opportunities have never been greater! Anyone looking to get started working with the green flower should move on it now!